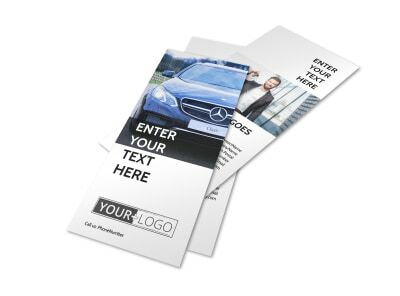 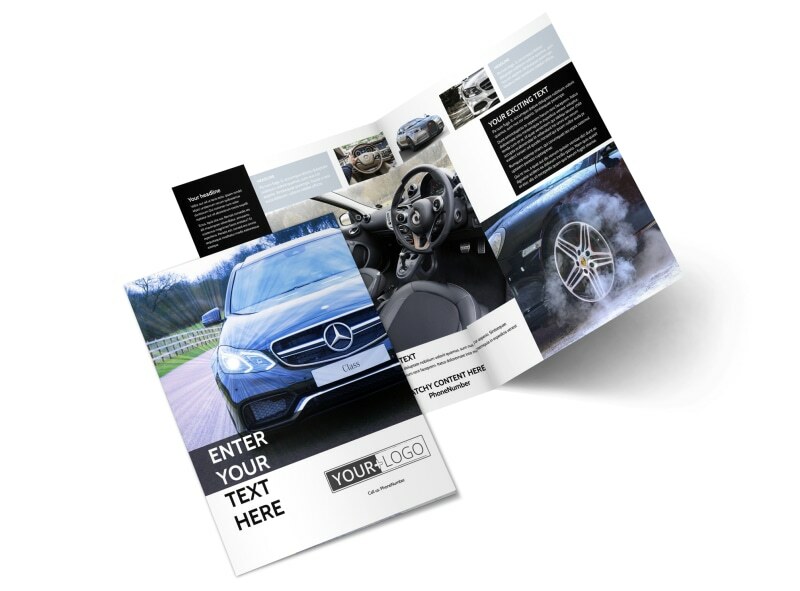 Customize our Luxury Auto Dealer Brochure Template and more! 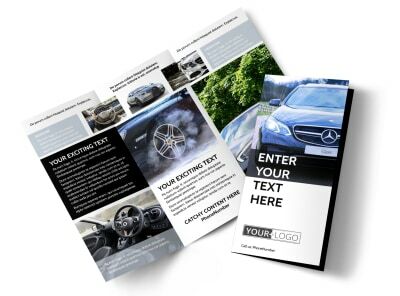 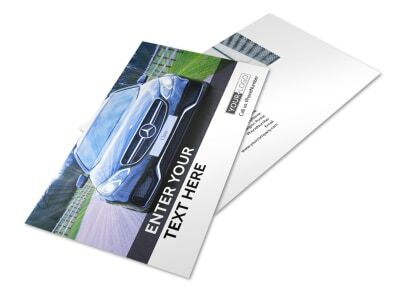 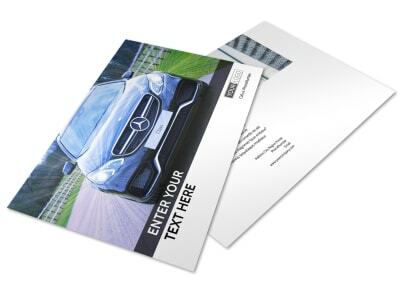 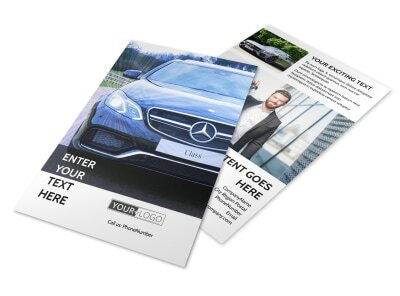 Convince car shoppers to invest in a luxury auto from your dealership with luxury auto dealer brochures designed using a template and our online editor. 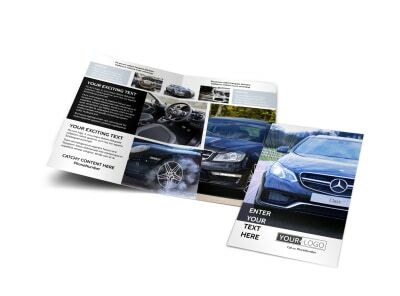 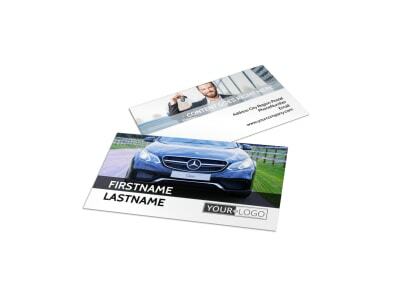 Customize either a bifold or trifold template with high-res images of the luxury autos your dealership offers, along with compelling text about each vehicle. 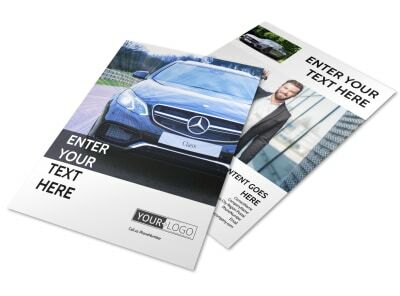 Print this valuable marketing tool from your own office for instant access or leave that part to our experts.